This is to declare that the Chinese Potatoes are prepared by the following procedure. 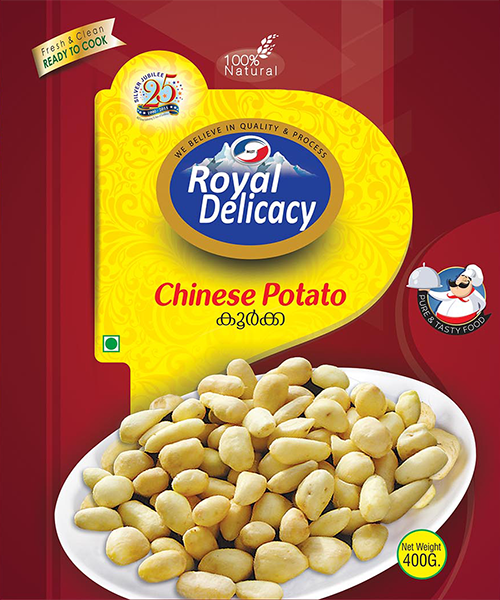 Sort out the Chinese potato then peel off skin and clean with the help of fresh running water after cutting the Chinese potato in to cubes. Before blast freezing at -32 °C, it will go to blanching process. After that it will packed and store at – 18 °C. The procedure is carried out so as to assure that the product is free from any type of contamination.